"A very good office to obtain a loan through." Unique by Nature - What Makes McKinney TX Unique? The City of McKinney's "unique by nature" brand has come to define the city’s image for residents, businesses and visitors. The city logo on city vehicles, water towers and city-related communications only begins to define who we are. “Unique by nature” speaks to McKinney’s natural assets: our rolling hills, parks, streams and lakes. It refers to our inherent uniqueness: our historic downtown, our cultural diversity, our quality of life, our business-friendly environment and the dynamic growth we’ve seen over the past decade. McKinney Texas embodies the spirit of our community - the charming neighborhoods, friendly residents, downtown festivals, a sense of history and the prudent but forward-thinking attitudes of our leadership. It was City Council’s vision to take the lead in spearheading creation and launch of a community-wide brand and invest in building and growing it. 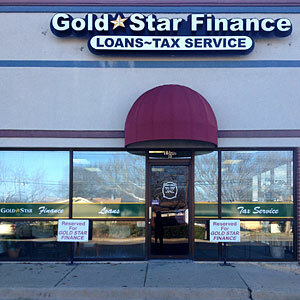 Gold Star Finance is proud to be a part of the McKinney community, proving short term consumer loans within the McKinney TX area. Stop by location on West University so we can get to know you better. You will always be treated with courtesy and respect.